on Security and Risk Management. Greg has enjoyed a successful career in security management spanning over 20 years. 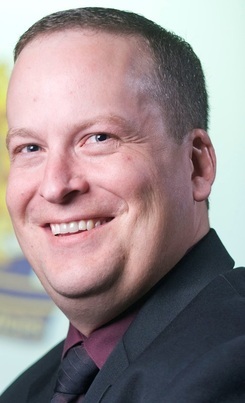 He has completed studies in Security Management from Grant MacEwan University and the University of Alberta. He has studied Crime Prevention Through Environmental Design (CPTED) at the Florida Atlantic University and is a regular presenter at the Edmonton Police Service CPTED and Crime Free Multi Housing seminars. Greg was recognized by Security Magazine in 2004 for Best Practices in Security, and achieved a Safety Recognition Award for Best Practices in Parkade Security from the City of Edmonton. Elaine is Board Certified in Security Management by ASIS International, and holds a Canadian Risk Management designation. She has over twenty years experience in security and risk management and has a certificate in Security Management from the University of Alberta. Elaine has training in basic and enhanced CPTED and has experience applying the principles to facility designs. Elaine has experience in security, risk, and compliance in industries such as financial institutions; racing, gaming and major events; and property management. We want to hear from you and find out how we can help.